Keep checking this page for ways that you can participate in the decisions being made about industrial shale gas development in western Maryland. TAKE ACTION by writing a letter of support for Fair Leasing Legislation. • Provide for disclosure by the lessee of any previous criminal convictions associated with leasing activities within the United States, as well as disclosure related to any civil litigation involving the lessee. Take Action on state decision-making by reading the various postings available on the Maryland Department of the Environment website. MDE is a leader on the Governor’s Commission and has provided information about shale gas development and the Department’s regulations, as well as posted the minutes of the Governor’s Commission meetings taking place once a month, usually in western Maryland. How to get there: The main MDE web page is www.mde.state.md.us. On that page, in the center, is a box for the Marcellus Shale Safe Drilling Initiative, the Governor’s order which established the commission to research and recommend action for Maryland to take prior to industrial natural gas development.. Clicking on that central box takes you to the Marcellus Shale page. On the left side, you will see title for “Advisory Commission,” “Resources,” etc. Each of these has information. Take Action by writing a response to the MDE. and then scroll to the link that says ”Public Opportunity for Comment.” This will open an e-mail message and you may submit comments and attach documents via email. Garrett County Marcellus Shale Natural Gas Advisory Committee: Next regular meeting Tuesday January 24, 2012, 4:30-6:30, Garrett County Health Dept, Memorial Drive, Oakland, MD. Sub-committees will meet before that. See below. From Rt 219 in McHenry, turn onto Mosser Road. Bear right at the “Y” to remain on Mosser. Just past the new CARC building, make a left at the sign for the CAOS Adventure Sports program building, at the top of the hill on the left. 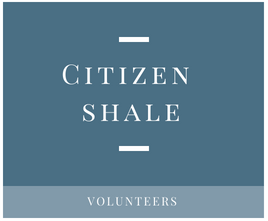 CitizenShale event: TBD -Educational events will follow the schedule of topics to be reviewed by the Maryland State Marcellus Shale Advisory Commission during 2012.